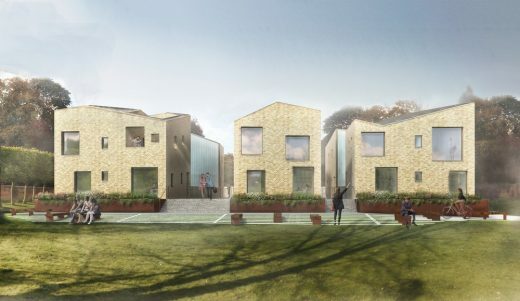 The student housing project is on the site of a Victorian residential home and will comprise 30 units arranged within six pavilions around a central courtyard. Our proposal is a departure from typical student housing and instead offers accommodation on a friendly, domestic scale that provides a pleasant living environment for students. 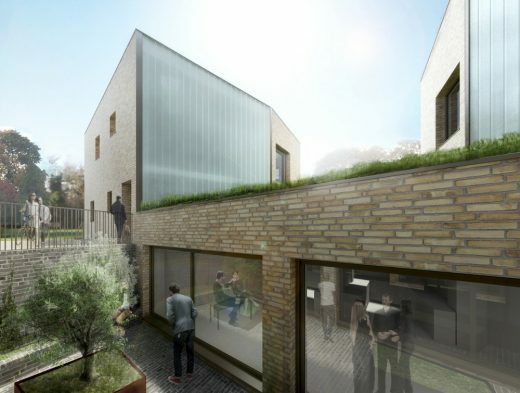 The low rise layout also responds to the project’s setting within the North Oxford Suburb Conservation Area and sits comfortably within the green open area. The communal areas of pavilions are connected at the lower ground level. 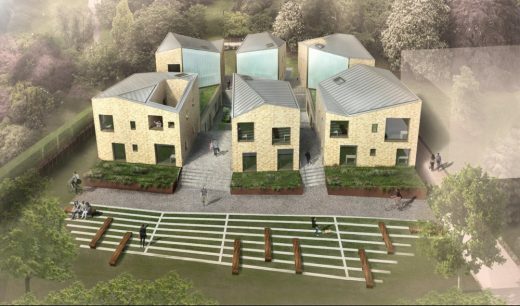 Each pavilion can be paired into four, five and six-bedroom units containing private bedrooms and studies alongside communal living and recreation space. All bedrooms have en-suite bathrooms and generous storage space for postgraduate. The scheme received planning permission in October 2015 and it is now ready to go on site.